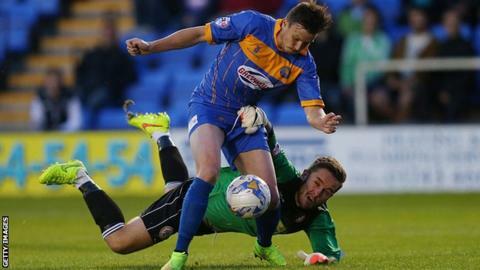 Wrexham sign former Tamworth goalkeeper Luke Simpson on loan until the end of the season. The 24-year-old has previously played for Nantwich, Workington, York City and Accrington Stanley. Simpson left Tamworth earlier this month after first-choice goalkeeper Jasbir Singh returned from injury. "I'm looking to cover all bases for this key part of the season," said Wrexham manager Hughes. "Having another goalkeeper in case of injury is going to be vital."